Behaviorally naive: Almost no one will long work willingly for nothing. Where the likelihood of reward is on the near horizon some people have motivation and can endure privation. Some. When the horizon is more distant or the outcome more uncertain people leave for something less sketchy. Further, few can be enlisted in the first place because the personal risks are too great. Competition from opportunities with more certain futures, and the confidence expressed by paying the team, is too strong. Financially simple-minded: There are a lot of ways to extend the runway other than creating a latter-day plantation. Foremost among these is the founding entrepreneur doing more him or herself rather than paying others. Who needs attorneys when one can find template legal forms on the Internet? Or accounting/tax professionals? Why bother too with licenses and permits when they can be obtained at some future time when the company has more money? Heck, who even needs a team? Legally dangerous: There's a wide-spread but utterly inaccurate belief that labor and wage laws have an exception for founders and/or early equity holders of a pre-revenue business. They don't. If you are an employer you must pay at least minimum wage—it's the law, and your employees cannot opt out. Retaining staff as "consultants" gets around that, but the IRS has scrutinized such improper classification for years, and those skirting the law have come to rue the choice. It's also one of the very few ways that the "corporate veil" gets pierced; if a company doesn't pay employee wages and taxes its officers are personally liable, plus attorney fees and treble damages. Finally, officers of the company must be employees, not consultants, and companies must have at least one officer. The bottom line is: you get what you pay for. A startup can skimp on many things. Some savings are smart, but others are penny-wise and pound-foolish. It is possible to build a successful startup on all-volunteer labor (albeit legally dubious) but the odds against are long. Salaries pay not just for work output, but critically, for expertise, experience, perseverance and commitment. Skip paying people an honest wage and you will quickly discover just how hard it is to build a team with those traits. And as even the least experienced founder or investor quickly grasps, team matters. The best advice I have heard on startup salaries, and it has been repeated by well-respected investors and entrepreneurs many times: pay people just enough that they aren't distracted by their personal financial situation from building the company to greatness. If people fret about paying the rent they're not going to have the focus needed to worry about the business. If they need a second job to cover the nut, their psychic and physical energies will not be maximally devoted to the business. 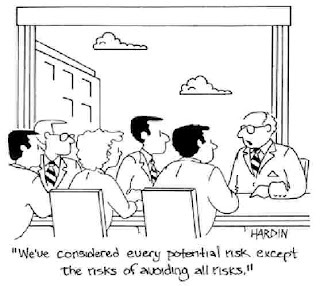 Startups entail risk. Working in them is risky; investing in them is risky. Smart entrepreneurs work to create an acceptable balance of risk and reward, identifying and removing or mitigating threats according to their seriousness and likelihood of occurrence. Not paying salaries to the startup team may cut the risk of running out of cash, but it increases other risks to unacceptable levels. To continue the airplane analogy, not paying salaries lengthens the runway, but it cuts the taxiing speed. It gives the startup more time to start flying, but makes it less likely it will ever be able to do so. In an extreme case, one can cut costs so much the runway becomes effectively infinite, but there is never a take-off. The startup never dies, but it never thrives, continuing on, risk-less, as a kind of zombie enterprise, benefiting none of entrepreneur, team, investors, customers, or society at large.